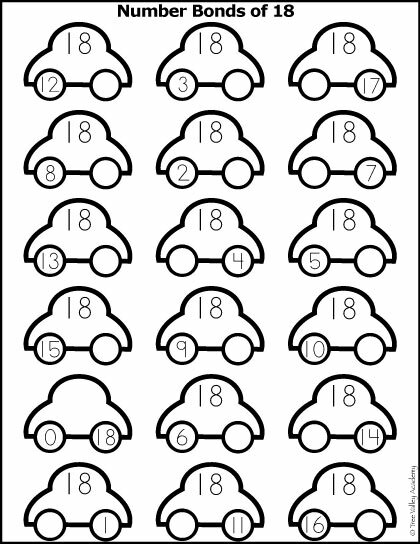 I worked hard this week on some printables for our number study of eighteen. 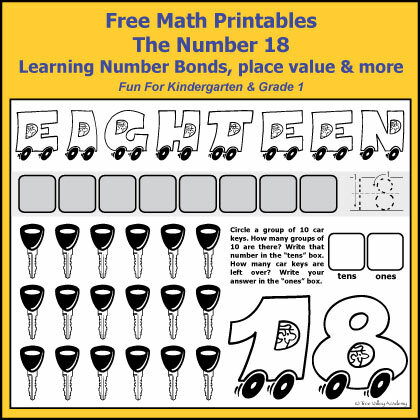 Learning the number bonds to 18 is a big part of this edition of our number bonds worksheets series. The biggest thing I hope my daughter learns with the number 18 is that 9+9=18. In my opinion, the one digit additions of two numbers are important to learn well, and the number 18 has our last one. 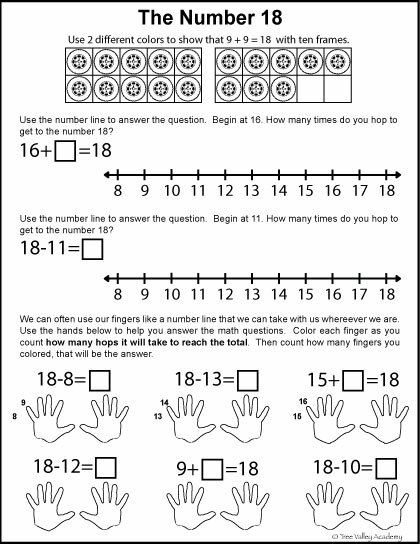 My goal is for my daughter to have learned these well enough that she knows the answer without any sort of counting or calculating. For the rest of the number bonds of 18, I am ok with her knowing the math skills to be able to arrive at the correct answer. 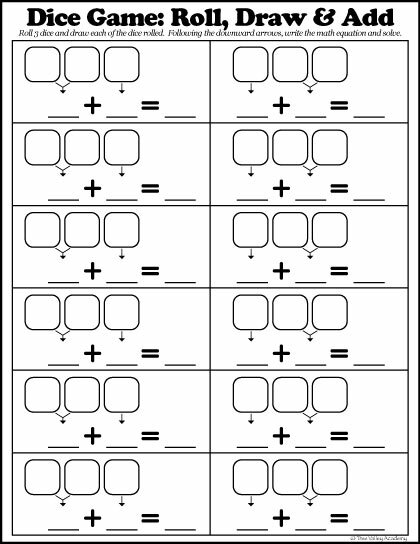 So I have tried to include many (if not all) of the math skills needed to be able to complete the number bonds of 18. Trying to make learning fun is always my goal. If you need another copy of the letters that your child will need to spell “EIGHTEEN” with on the first page, you can download it again here. That’s it for our number study of 18. I hope your child will have fun with these. 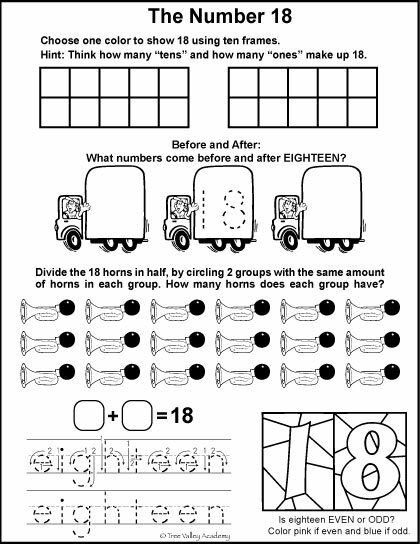 Come back next Monday as we begin the number study of 19. 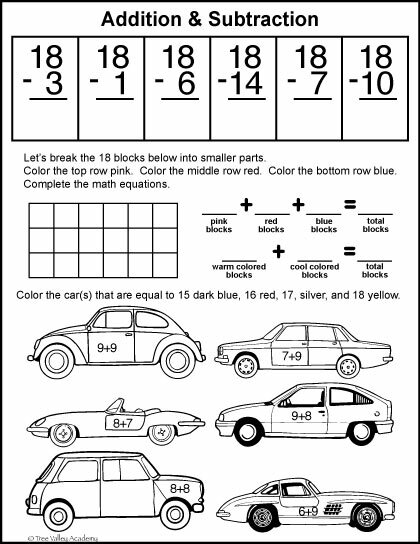 It is so important for children to have these early math facts in their brains. I love the look of your printables. These would be fun for the girls during the summer. I am pinning this on my math board for later. Thanks so much for stopping by and sharing on Littles Learning Link Up last week. So glad you could join in. This week’s linky is live. I would love to have you stop by when you have a chance with anything new or even old posts that are suitable for young children. Have a great evening.